One of the lessons from the recent financial crisis is the need for securities dealers to have durable sources of funding. As evidenced by the demise of Bear Stearns and Lehman Brothers, during times of stress, cash lenders may pull away from firms or funding markets more broadly. Lengthening the tenor of secured funding is one way for a dealer to mitigate the risk of losing funding when market conditions are strained. 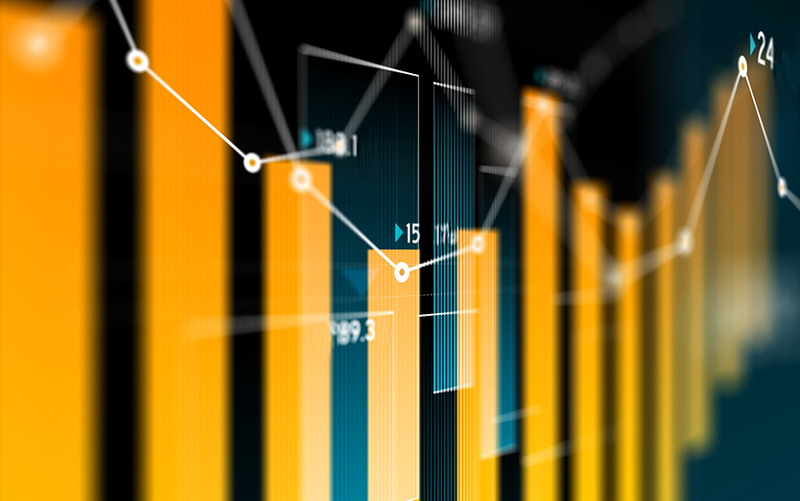 In this post, we use clearing bank tri-party repo data to examine the degree to which dealers are lengthening the maturities of their sources of funding. (Aggregate statistics using these data are available here.) We focus on less liquid securities because it is for these assets that the durability of funding matters the most. We find substantial progress overall, with the weighted-average maturity (WAM) of funding of the less liquid securities more than doubling from January 2011 to May 2014. Nevertheless, there is currently a wide dispersion in dealer-level WAM, raising questions as to whether all dealers have enough durability in their funding of risk assets. Although dealers can obtain funding in the money markets through a range of mechanisms, the repurchase agreement (repo) is a particularly popular tool. Repos are essentially collateralized loans, although they are treated differently in bankruptcy cases. Furthermore, many dealers use a particular type of repo, called tri-party repo, to raise secured funds (see this staff report for a description of tri-party repo), so studying the maturity of tri-party repo trades should provide us with a representative view into the durability of dealers’ funding. The WAM statistic is the average remaining maturity of all open tri-party repo trades, weighted by the value of securities posted as collateral. Remaining maturity is the number of days left until a particular repo trade matures. For example, after five days, the remaining maturity on a seven-day repo is two days. We focus on repo trades collateralized by risk assets as opposed to trades collateralized by government and agency securities. In tri-party repo, the four main types of risk assets financed are asset-backed securities, private-label collateralized mortgage obligations, corporate bonds, and equities (see this table for a snapshot of the types of securities posted as collateral in tri-party repo). We examine risk assets because these assets are considered much less liquid than government and agency securities. For such assets, the durability of funding is even more important than for highly liquid assets, given the horizon and price risk involved in market sales of risk assets. Indeed, this staff report on the risk of fire sales in tri-party repo repeatedly highlights the difficulties of liquidating risk assets in times of stress (see pages 25, 26, and 28). By comparing the WAM of all tri-party repos collateralized by risk assets over time, we can track the progress made by dealers in improving the durability of their funding. As the chart below shows, since 2011 this WAM measure has risen from under forty days to almost eighty days. The ability of dealers to lengthen the WAM on these repos is reassuring in that it marks an increase in the durability of dealers’ funding of risk assets. Although the WAM for risk assets has steadily increased over time, this increase in the average disguises the substantial variation in WAM across dealers.The chart below plots the 25th, 50th, and 75th percentiles of the distribution of dealer-level WAM for risk assets. Strikingly, one-fourth of dealers (those at or below the 25th percentile) have only a one- to 5-day WAM, indicating little durability in funding sources. In stark contrast, the quarter of dealers with the highest WAM (those at or above the 75th percentile) have a WAM of almost eighty days in 2014. However, a simple comparison of the WAM of different dealers yields limited insight—the quantity of assets being financed also matters. Regardless of the WAM, a small amount of risk assets can likely be liquidated without much cost; the cost of liquidation increases with the size of the position. To better highlight the variation in the durability of funding for dealers with large positions in risk assets, we identify the fifteen dealers with the largest total tri-party repo positions in these securities in the first quarter of 2014. These dealers account for more than 90 percent of the total market value of risk assets posted as collateral in tri-party repo. For this quarter, we then compute the WAM for each dealer of tri-party repos collateralized by risk assets. As detailed in the table below, even across these large dealers WAM varies quite markedly. One-fourth of these large dealers have a WAM at or below twenty-six days (those at or below the 25th percentile). This WAM looks quite small when compared with that of the other large dealers. The median dealer-level WAM is sixty-six days and the difference between the 75th and 25th percentiles is a substantial fifty-two days. This means that the large dealers at or above the 75th percentile have secured about two extra months of funding for their risk assets relative to the group of large dealers at or below the 25th percentile. Our analysis of WAM demonstrates that while dealers, on average, are making significant progress in lengthening the maturity of their tri-party repos collateralized by risk assets, the progress varies considerably across firms. The variation in WAM among those dealers with the largest positions is particularly notable, raising concerns as to whether all of the large dealers have made sufficient headway in making their funding of risk assets more durable. Adam Copeland is a senior economist in the Federal Reserve Bank of New York’s Research and Statistics Group. Isaac Davis is a senior research analyst in the Research and Statistics Group. Ira Selig is a senior associate in the Financial Institutions Supervisory Group. Is there any way that you could provide us with the underlying data for the graph titled "Distribution of Dealer-Level Weighted-Average Maturity for Risk Assets"? Searching within the sight has only led to dead ends thus far. Thanks for sharing this research. Have you also found an increase in the use of "evergreen" or putable repo? Given that the predominant source of cash in tri-party repo is from money market funds, there is a potential funding mismatch between the cash providers and the dealers. For the first quarter of 2014, the mean WAM for risk assets across large dealers is 62 days. Can we see the average maturity by large dealer?